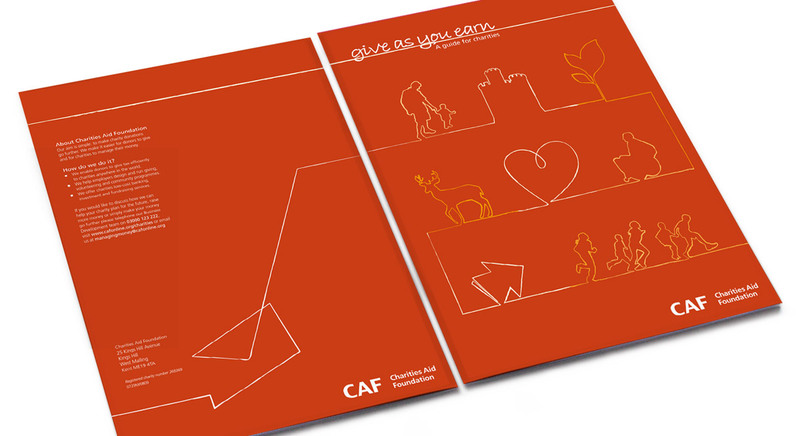 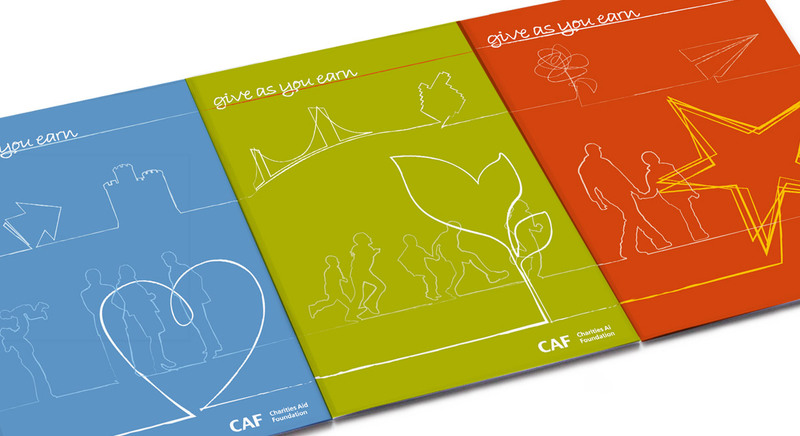 Run by CAF, Give As You Earn is the UK’s leading payroll giving scheme. 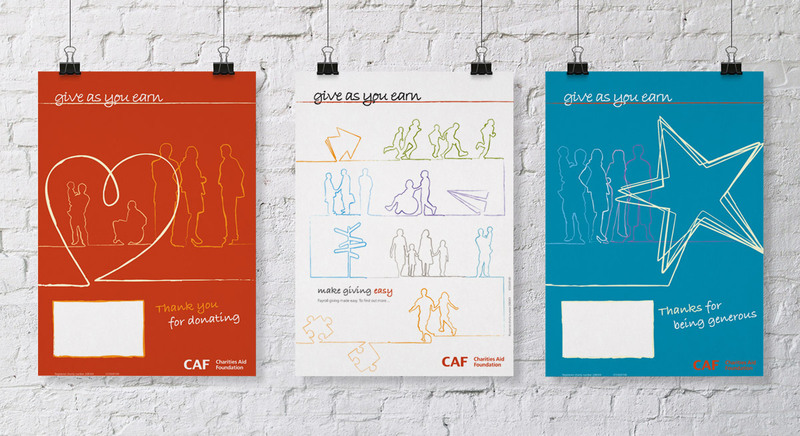 Execution included brand guidelines, brochures, marketing collateral and a toolkit for use by employers and one for charities. 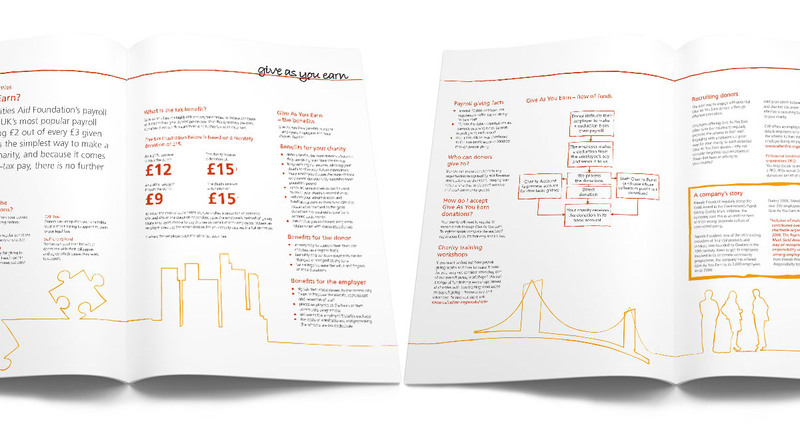 The Give As You Earn project is an excellent example of our comprehensive approach to creating a brand – discover, define, design, deliver and develop – working in partnership with you to create effective communications to add real value.